But what else could help Southport develop its potential? Well, a bypass around Ormskirk would be a big boost as would regaining the once excellent rail link to Wigan and Manchester which has seen very poor services in recent times. Remember Southport was built on the success of its railway connection to the east because Manchester business people came to live in the Town due to its once excellent and reliable trains to Manchester. Restoring reliable, comfortable, fast and regular trains on this line could work wonders for Southport. And reconnecting Southport to the north and Preston would be a welcome positive step as well and all it will take is the rebuilding of a short section of connecting track at Burscough. The Liverpool City Region and indeed Sefton Council needs to stop looking at the Lancashire boundary, which surrounds most of Southport, as a no-go barrier and instead see it as an opportunity. For too long Southport has been held back by an invisible on the ground local government boundary. The transport solutions to help Southport develop are mostly in Lancashire and it’s not rocket science to see what they are! The decision last week by Sefton council to delay giving the final go-ahead to housing development in Southport could give hope to Maghull and Lydiate residents facing massive housing expansion in the area. 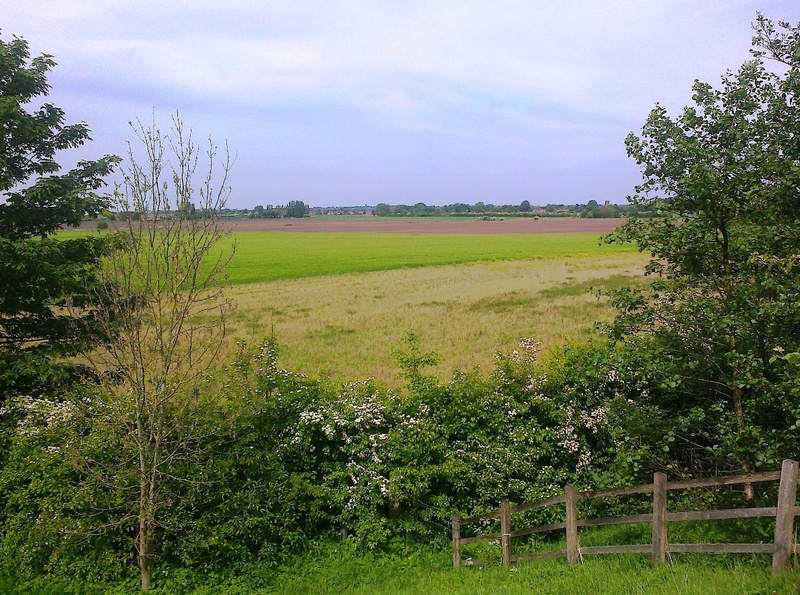 A combination of people power and sound argument at last Wednesday’s planning committee prevented the usual rubber stamping of a planned housing development on farmland in Bankfield Lane Northern Southport. According to the Sefton Lib Dem opposition leader Cllr John Pugh, this represents a watershed moment. Former Sefton Council Norwood ward Councillor Brian Rimmer has died I am sad to have to report. I first met Brian when he was Leader of the Liberal Democrat Group on Sefton Council around 1987. I went to see him to seek his help in trying to negotiate a better deal for Maghull Town Council, or more precisely for Maghull’s Council tax payers, over the rebate of over-paid Council Tax. This problem, called Double Rating, actually affected all the Civil Parishes in Sefton Borough where the local parish council maintained the parks and gardens i.e. Maghull, Aintree Village, Melling and Lydiate. I went into Brian’s Southport Town Hall office (which strangely became my office when I became a Sefton Councillor in 1999 and then Lib Dem Leader on the Council in 2002) and realised I was talking to a no nonsense chap who wanted me to come to the point about what I wanted and why I wanted it. I spluttered out my wishes, he said he would do what he could and I was sent on my way thinking that Brian was a tough man to do business with and had I made a mess of my attempt to get him onside. Not long afterwards he got in touch, told me he had negotiated a better deal and was I happy? Happy, I was absolutely delighted. And former Sefton Councillor Roy Connell told me of his working as Brian’s Deputy Spokesman on Sefton Council’s former Social Services Committee and how he enjoyed working with a councillor who gave the officers of the Council a hard time especially if he thought they were looking for an easy life. 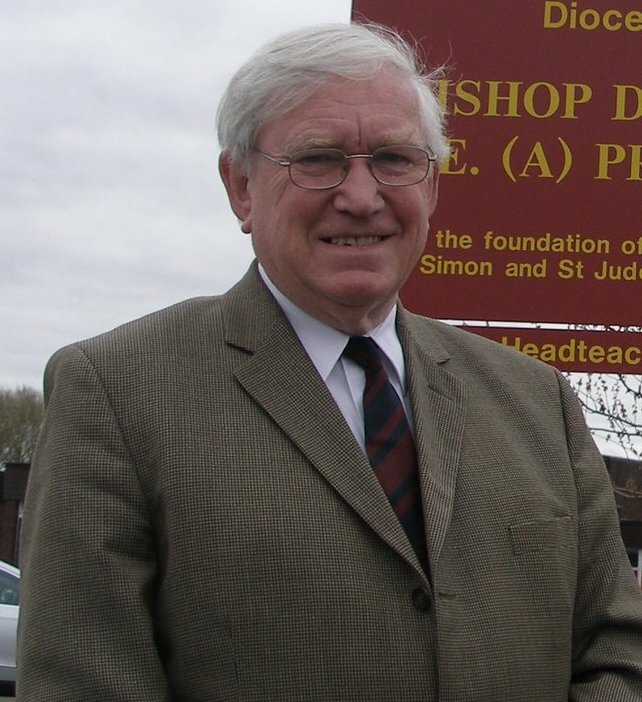 Brian was certainly a one-off but he was more than capable of negotiating political alliances when he felt that residents of the Borough could benefit from them. Cllr. John Pugh the Lib Dem Leader of the opposition on Sefton Council and former MP for Southport has hit out at the loss of trains between Southport and Manchester Airport which have been proposed [in the May 2018 timetable] by Northern Trains and Network Rail. 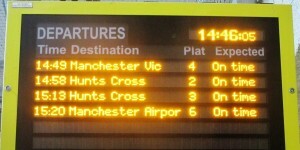 Rail services to Manchester Piccadilly- the university and business sector are being pared back to two to three a day trains- there and back- with the train to Manchester Airport doomed. 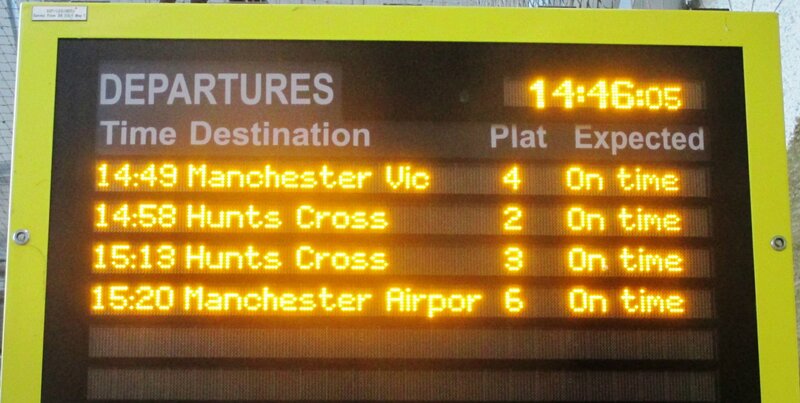 That’s the result of the new timetables just announced on March 21st by Northern Rail and agreed with Network Rail. Former MP, Cllr. 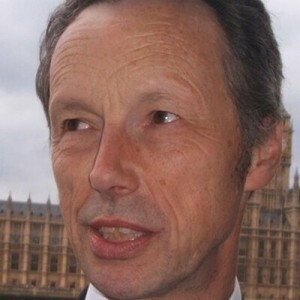 John Pugh stated, “It is hard not feel angry with the way we have been treated and strung along. We have had warm words from Rail Ministers and the Secretary of State for Transport but the downward spiral in our services and connectivity continues just the same. We don’t need any more patronising waffle from the government, rail companies or anyone else. The fact is that we are being strung out to dry- a corner of the north that needs to finds its own voice. We cannot quietly stand by and let our connections with the business quarter of Manchester and the airport just wither. 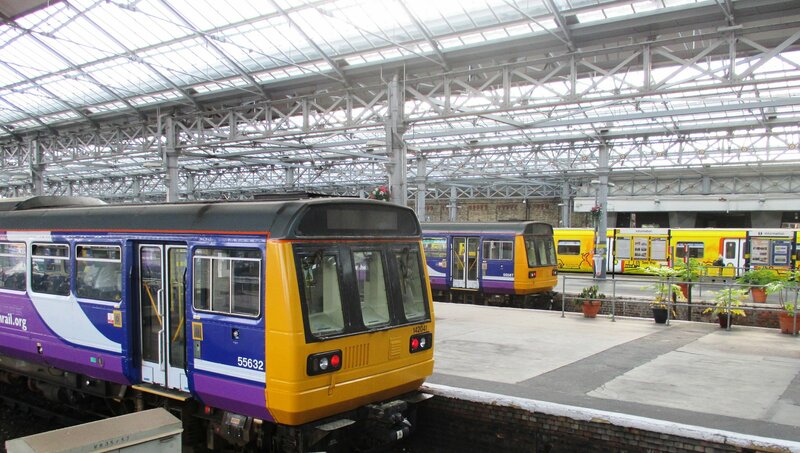 Editors View:- John is obviously right and I share his skepticism about what the Liverpool City Region and its Transport arm Merseytravel have been doing or indeed not doing to both keep the present level of service on the line and promote Southport’s trains to Wigan, Manchester Piccadilly and Manchester Airport. I go back to the first draft of the first ever Liverpool City Region Long Term Rail Strategy where the line did not even get a mention! At the time I was a Sefton Councillor and I pushed the Council to demand that the line be included. That Long Term Rail Strategy has now been updated (October 2017) and surprise surprise the line hardly gets a mention at all again. 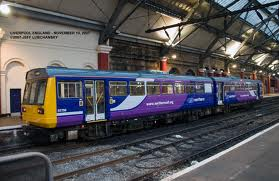 Must we conclude that rail connectivity for Southport (which is in the Liverpool City Region) to the east and the north of the Town is of no interest to the powers that be? Sadly I think we must! An alternative title for this posting could ‘Well John Pugh are you happy now?’ because during his time as MP for Southport John fought to get the appalling Pacer Trains replaced. To be fair many, many other people were on a similar track (sorry about the pun) but John made it onto a BBC North West TV programme about his fight to rid the rails of Pacers. John has now returned to his political roots as a Sefton Councillor and leads the opposition on Sefton Council. John’s contribution to the programme is at about the 12 minute mark.